For warm weather sportcoats, nothing can beat gingham, as Thom Browne proves here. 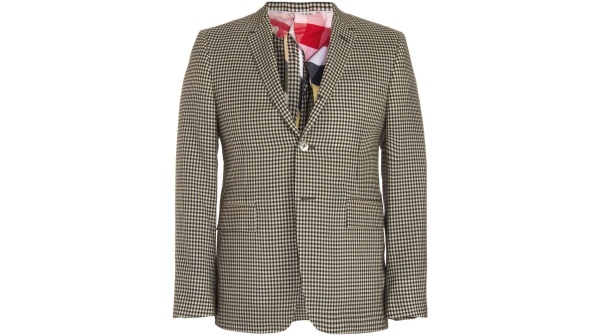 This classic notched lapel, three button design features a lightweight gingham construction perfect for the season. A great classic, revived by Thom, available online now. This entry was posted in Sportcoats, Tops and tagged Thom Browne. Bookmark the permalink.